"The thing about those dunks is that they were never really planned. It was more or less created instinctively once I got up in the air. But those were the things that people focused on. It's like my logo. I wasn't even dunking on that one. People think that I was. I just stood on the floor, jumped up and spread my legs and they took the picture. I wasn't even running. Everyone thought I did that by running and taking off. Actually, it was a ballet move where I jumped up and spread my legs. And I was holding the ball in my left hand." Can man fly? Yes, and no. fly: To engage in flight, especially: To move through the air by means of wings or winglike parts. dunk: To slam (a ball) through the basket from above. Men can not stay in the air in a sustained manner, however great men like Michael Jordan can give us the "illusion" of flight simply because of his two-plus second hangtime. How can I dunk better ? Well, that's the million dollar question isn't it... Firstly you need understand your body. Your body weight consists of 40-50% of muscle tissue. There are three muscle groups, skeletal muscle, cardiac and smooth muscle and the major muscle group is skeletal muscle. Skeletal muscles help us to move around. There are two types of skeletal muscles; the fast-twitch and the slow-twitch muscles. Many people believe that genetically, people of black descent tend to have higher ratios of fast-twitch muscles than any other people in the world. Please note that you CAN NOT increase the number of fast-twitch muscle in your body. 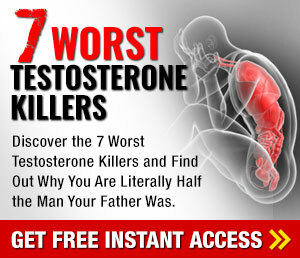 It has been genetically pre-programmed into your body and remains constant throughout life. However you can increase the BULK / SIZE of each fast-twitch muscle fibre in your body with a lot of hardwork, gym training and stretching exercises and proper warm-up and warm-down procedures. Cardiovascular fitness is achieve thorough regular aerobic exercises, that is repettive movements of large muscle groups over an extended period of time. Examples of aerobic exercises include jogging, swimming and... of course playing basketball. Muscle strength is improved by applying resistance to a muscle group. Lifting weights is a good way of improving muscle strength. Muscle endurance is the ability of the muscle to repeat that movement over a period of time. Muscle endurance improves in conjunction with muscle strength. With regular exercise, your muscles burn energy more efficiently and endure overloading for longer time. Finally, joint flexibility refers to the range of motions (ROM) the joint can undergo as limited by the joint's structure and surrounding connective tissues. Joint flexibility can give dramatic increases in vertical leap height. If you don't fit the above categories, you can still dunk but you might not be able to do all those fancy windmill, double-pump, rock-the-cradle, no-look dunk. It might just be a two-handed, hanging off the rim (like a gorilla) type of dunk. It's a dunk but it's not as ultra-cool. Next, you'll need to decide if you're a good LEAPER or a good JUMPER. 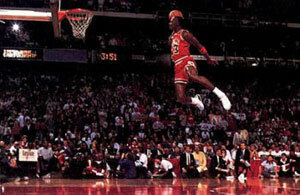 Good leapers are guys like Michael Jordan and Scottie Pippen who can simply coast to the rim for a dunk. Good jumpers are guys like Vince Carter and Dominique Wilkins who explode near the basket for a powerful jam. It is important to distinguish which group you belong to as there are separate exercise programs for leapers and jumpers. Leapers rely more on horizontal speed to reach the rim and generally have very strong hips, abdominal and upper body strength in order to launch themselves for the dunk. Ed Pinckney once said, Michael is the best floater. For instance, "THE SHOT" against Cleveland. Jordan is flying sideways as three defenders leap and jump... and land, while Jordan is still coasting through the air, releasing the ball at the last possible moment to make the shot. Incredible hang-time. As I said earlier on, leapers depend on strong hip, abodominal and upper body muscles. You need strong hips to hyperextend your legs and propel your body forward. Strong abdominal muscles and upper body allow you to throw yourself up into the air. Combine all three muscle movements to generate an upward and forward motion. It helps if you can palm the ball with one hand as you can take advantage of the upward momentum of the ball to "drag" your body up. Isometric exercises are not very useful and the limited movements only affects specific muscle group. Isometrics tend to bulk-up your muscles, which is not really the goal in dunking. You want to be lean and mean. So wearing those "platform shoes" just to increase your vertical leap is not as effective. The shoes only strengthens your calves and improves flexibility of the knee joint. They are good for skipping rope in and strengthening your calves and achilles tendon. But using it while doing pylometric motion training exercises could be very dangerous. You can easily roll an ankle or tear-off knee ligaments if you're not careful with the shoes. Pylometric exercises is defined as the simulation of sports motion with additional weight resistance. Available on the market today, are special weighted vests and shorts. They have pockets for putting weights in. They seem durable for pylometrics and are pretty expensive. The Strength... suit (pictured on the left) costs about US$250 for the vest and shorts plus 15lbs of weights. The suit prevents the weights from sliding around during pylometric exercises. If you don't have the dough, a scuba-diving weight belt (with 20lbs) should be sufficient (make sure it's very secured to your body) The danger of scuba-diving weight belts is that they are very easy to unbuckle and fall-off if your pylometric exercises start becoming too aggressive. Watch out! !, you don't want the weights to smash your tootsies or put a hole in the gym floor. Jumpers depend on strong thigh and calf muscles. You need strong hips to hyperextend your legs and propel your body forward. Strong abdominal muscles and upper body allow you to throw yourself up into the air. Combine all three muscle movements to generate an upward and forward motion. It helps if you can palm the ball with one hand as you can take advantage of the upward momentum of the ball to "drag" your body up. Exploding off two legs gives more vertical height but it's pretty much useless in a game because you've got big guys in the center, like Shaq, Yao and Mutombo who'll knock your head off the moment you try dunking. 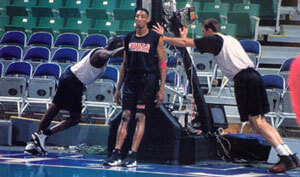 Examples of jumpers are guys like Vince Carter and Dominique Wilkins. They are living "human elevators". They have 48 inch verticals and can throw it down HARD. One thing's for sure, you wouldn't want to get hit by the ball when it goes through the hole. To be able to dunk and look good requires a lot of hardwork and daily exercises. The exercises done by ballet dancers are similar to the needs of basketballers. 15 min stretching exercises are important for improving flexibility of the entire body. It helps to fine-tune your body and raise its responsiveness when you decide to go for the dunk. To be able to go above the rim requires complete unity of the mind and body. A total integration of muscle and bone, complete fitness (< 10% body fat) and a focussed mind. First, you need to have a good diet. Get plenty of protein, but only eat red meat once a week to spare your arteries. Chicken or turkey is a good substitute. Also, get plenty of water and don't cut out carbohydrates. They're good for energy. 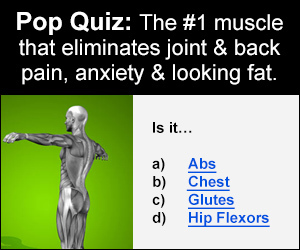 Take a multivitamins and a supplement to protect your joints. A healthy diet means faster recovery time. Your body needs a chance to repair itself after going through the workouts. Do this workout every other day until you can dunk. Test your jumping on your off day. Stretch out after a good five minute warm up. Stretch the calves by placing your hands on a pole and putting one foot about 2 feet back. Lean forward until you feel the stretch in your calves and hold. Stretch your achilles tendon by keeping the leg back and bending the knee of the back leg. Then put you foot of a pole just below waist level and touch your toe. This stretches your hamstring. Next, do toe touches. Move your hands toward your toes until it starts to hurt. Then hold. Don't bounce. This is another hamstring stretch. Next, stretch your quads by putting one hand on the pole and grabbing your leg behind you and holding. You should feel this stretch in the top of your upper leg. Now, lay on your back and pull one leg to your chest and hold, then repeat with the other leg. This stretches the lower back. Concentrating on building muscle if you are overweight. You must be as lean as possible to dunk. You may have to limit your daily caloric intake to 2000, 1500, or even just 1000 calories a day. It is safe as long as those are calories from healthy foods. Speak to a doctor or nutritionalist for more information on that. Running is good for losing weight, as is any vigorous aerobic activity. You lose weight and at the same time condition your lungs. (1) Go to the gym and start on a plyometric weight program (see below). Plyometrics is where you simulate sports movements with additional weight resistance. Concentrate on simulating jumping movements (explosive motions) with weights in your hands. (2) Set yourself a regular program of jumping exercises in front of the basket ball hoop. 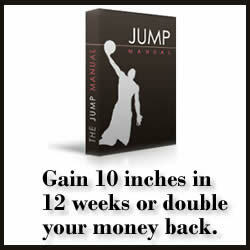 Start by jumping to touch the net with a running jump, working in simultaneous sets of 10 jumps. Then set yourself the goal of touching the backboard. Once you can do this comfortably set your sights on the rim. Be patient and work consistently and you will see progress in this area. (3) Begin a program of wind sprints. Mark out a track and then sprint for 50 meters, walk ten continuously for five sets. (4) Once you can touch the rim attempt to dunk small objects, like table tennis or golf balls. Then slowly work your way up until you are dunking slightly larger balls, like volley balls, soccer balls and finally a basket ball. (5) Jump rope at least three times per week to build up your aerobic fitness level. Now that you have the height side of it under control you need to concentrate on the mechanics of the dunk. Practice palming the ball, as this will make it less likely that you will lose control of it in the air. Once you are comfortable with this, practice the move by dribbling toward the basket as if you were on a fast break, then take the allowed two steps while at the same time palming the ball in your dunking hand. Lift off after your second step and jump as high as you can. Now extend your arm to full elevation and slam the ball down through the basket. Work consistently at the above program and you will end up being a dunker. If you have access to an adjustable height basket, lower it so that you can master the mechanics and feel of the dunk before you perfect the 10 foot height. Then slowly bring the height up until you are slamming the ball through at regulation height. Happy dunking! Do the weight exercises Monday and Thursday. Do the jumping exercises Tuesday and Friday. Weekend is for rest and practise on your game. IMPORTANT!!! Quality of the exercise is MUCH more important than quantity. 5 reps of proper form will get you in the air much higher than 20 reps of poor form. Also, if you want an explosive vertical (who doesn't! ), you must train that way! Do every exercise as explosively as possible and go for maximum height. You're vertical will improve like you never thought possible if you go for more distance on every jump. This is telling your body that you need to get HIGHER. Your workouts should not last more than an hour. If they are, don't rest as long. You should rest 2 minutes in between sets. Pick a weight for each exercise that you can do no more than the set number of reps with. 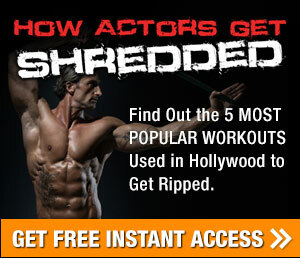 If you can do any more, you are not getting the best possible workout. It is very important that you progress with the weights (and with jumping-the reps) as much as possible. If you don't increase the weights and reps, you're muscles think they don't have to get any stronger and your vertical won't get anywhere. Use a training log. Keep records of the exercises, reps, sets and weight for each exercise. Make sure that you are increasing the amounts regularly. Also, it is a good way to remember what weight and reps you use for each exercise. Watch out for OVERTRAINING!! Overtraining can lead to permanent joint damage and early-onset arthritis. 2. Calf Raises/Jumps - 3 x 10, 30 mini-hops after each set. 3. Lunges/Jumps - 3 x 10, 10 one leg jumps after each set. *IMPORTANT* Remember that the suggested reps are a suggestion for the starting reps only! Everyone is different. If you are throwing up after a session, decrease the reps. If you're not stiff the next day or aren't feeling a lot of burn when you do the exercises, increase the reps. You should definitely be able to increase the reps every week (by 5 is a suggestion) in the jumping drills. In the weights, if you can do one extra rep past the suggested reps, increase the weight. DO NOT INCREASE THE REPS IN THE WEIGHTS EXERCISES! As well, the hips provide a lot of thrust (especially in 2 foot jumps). Because the hips are a hard area to strengthen, it is very important to have good flexibility in the hips. A good range of motion (ROM) is essential in striving for maximum jump height. Gym training concentrating on light weights( < 5 kgs), but rapid repetitions to increase the bulk of fast-twitch muscles is important. Get advice from a gym-instructor about exercises. 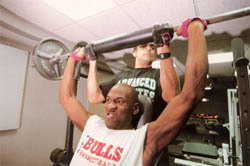 Team doctor (David Orth) hooked Jordan up with Tim Grover, a former college point guard working as a fitness consultant in Chicago-area businessmen. Jordan's goal was to get stronger an more injury-resistant.